Size (Inches): 9 In. X 4 In. X 3 In., 9 In. X 3 In. X 2 In., 12 In. X 4 In. X 2 In. 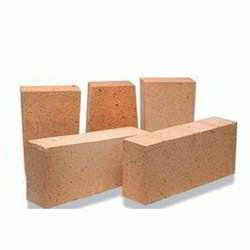 We are renowned manufacturers and suppliers of Insulation Bricks, which are specifically designed and processed to meet exact requirements of the clients. Our team of professionals make use latest technology and high grade raw material to produce these bricks. This range of bricks is considered as the most reliable construction material. We are authorised distributor of Uniflex India Limited, Lloyd Insulations and Shree Ceramics. Principals are EIL approved. 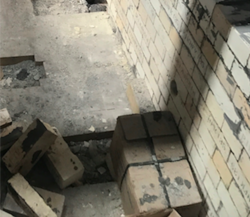 With an objective to fulfill the ever-evolving demands of our clients, we are engaged in offering a wide assortment of Insulating Fire Bricks. Our organization provides a range of HFK Insulation Bricks that are manufactured using high-grade quality material and cutting edge technology. These products are offered in adherence to the international quality standards. Apart from this, our clients can avail these products in customized specifications in order to meet their application specification requirements. It is designed using premium quality materials that are sourced from reliable vendors to ensure excellent quality product at most affordable price from our end.